The Judd Fire is burning near Bisbee. The Judd Fire is burning north of the town of Bisbee. A lightning-sparked wildfire burning in southeast Arizona near the town of Bisbee has been reduced to about 4,300 acres on Saturday afternoon, officials say. The Judd Fire, reportedly started by a dry lightning storm, had spread from about 600 acres on Friday morning to 8,000 by 8 p.m. that night, the Arizona State Forestry Division said late Friday in a news release. 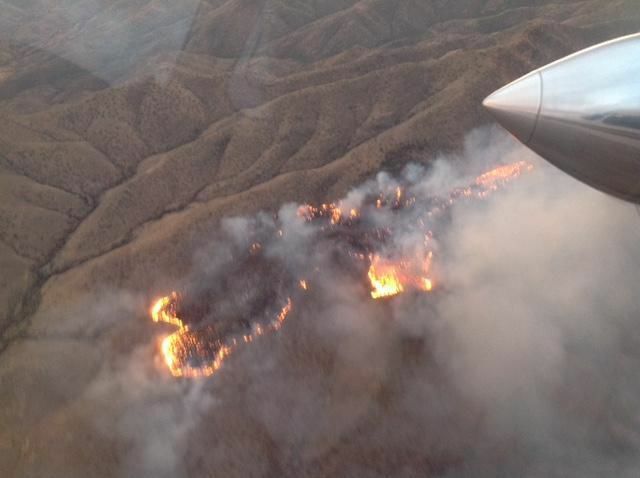 The fire is burning on Mule Mountain, about three miles north of Bisbee. More than 135 fire personnel were working on the fire as additional resources arrived on Saturday. "Additional single-engine air tankers and helicopters were ordered today to help with ground crews' suppression efforts," the Cochise County Sheriff's Office said Saturday. No structures have been damaged and no evacuations have been ordered. The Hermosa Project would become a major source of the world's zinc.